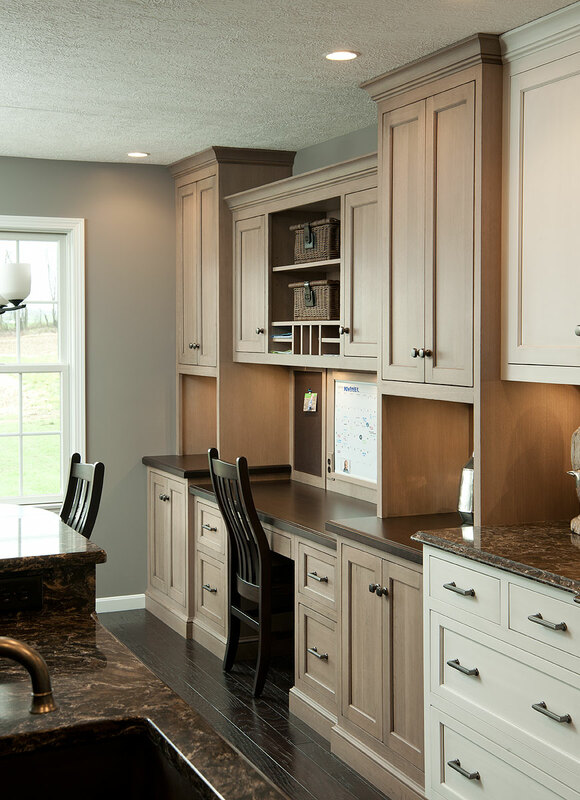 Premium Custom Cabinetry with Custom Color Match, Beautifully Crafted in the Heart of Amish Country. Welcome to… Levant Kitchen Furniture. With a careful eye on elegance and detail, and with fine workmanship a constant, we designed Levant Kitchen Furniture to stand out in the crowded world of custom cabinetry. We wanted the discriminating homeowner who insists on artisan touches, sumptuous finishes, refined styling, and precise woodworking, to find all of those things, and more, in Levant Kitchen Furniture. Here at Mullet Cabinet Company in Millersburg, Ohio, the heart of Amish country, we are proud of our 40 years of success in fine cabinet making. Our pride extends to our groundbreaking Levant product, as one more example of the creative expertise and dedication of our family of craftsman, engineers, and marketing specialists who view cabinetry as an art form. We believe that Levant is an exciting first, designed for the dealer who wants the advantages of selling a new and different concept in premium custom luxury cabinetry. Offering true customization to 1/4”, as well as custom color match, all Levant products are individually handmade and ready for shipment in a timely manner. Importantly this will enable Levant to deliver key solutions to some of the budget and time challenges that so often emerge today in new construction and remodeling projects. Also at the core of Levant are the finest raw materials, engineering, craftsmanship, door quality, and finish. Levant was created to help the designer with an easy-to-sell product that eliminates some tedious choices, because all the best choices are already built into Levant Kitchen Furniture, and are included as “standard equipment”… things like extra deep wall cabinetry; full extension drawer guides; long, elegant drawer boxes; even the 10 Levant door styles are all the same price to make it simple. We believe simplicity is best, particularly when it’s the best that we’re looking for. We look forward to you continuing to get to know us, and catching all the excitement that we have meticulously crafted into Levant Kitchen Furniture.